It takes years of experience working on similar sites to develop the kind of insight that is needed to ensure the safe and cost-effective removal of bulk hazardous wastes and contaminated water from your development site. Which is why so many in the industry turn to Coleman Remediation Services time after time. As a leading industrial remediation company, we understand that removing the contaminated water, minerals or other substance is just one part of the solution. 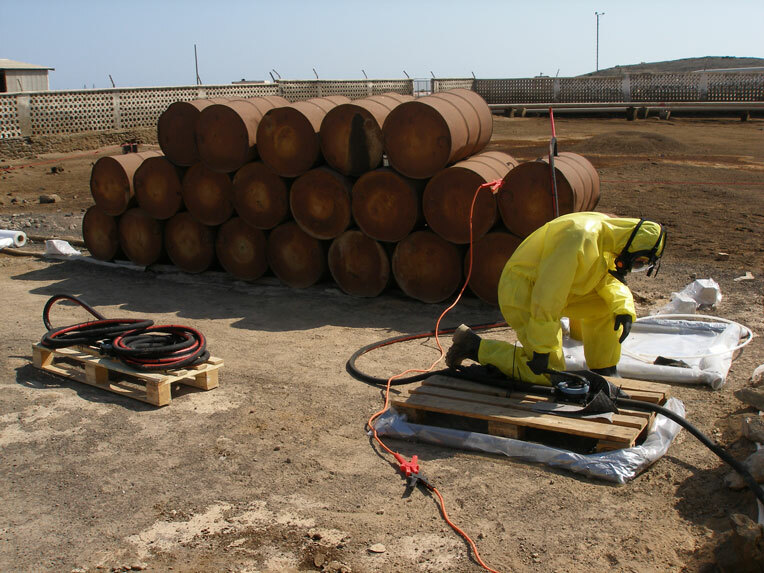 Our industrial remediation services cover bulk hazardous wastes such as hydrocarbon sludges, contaminated water, mineral wastes and remediation of settlement lagoons. And with a range of innovative solutions carefully developed to meet the specific requirements of each individual project, we work hard to develop strategies that minimise offsite disposal, reduce the use of landfills and keep costs down. Get in touch to discuss your bespoke industrial requirements. Contact Coleman Remediation Services on +44 (0)1932 577290 or email info@coleman-remediation.co.uk. The Coleman Group also offers a wide range of industrial demolition services. Click here for more information.